What looked like the biggest achievement for Mexican law enforcement in years turned out to be a big “oops.” Al Jazeera reports. 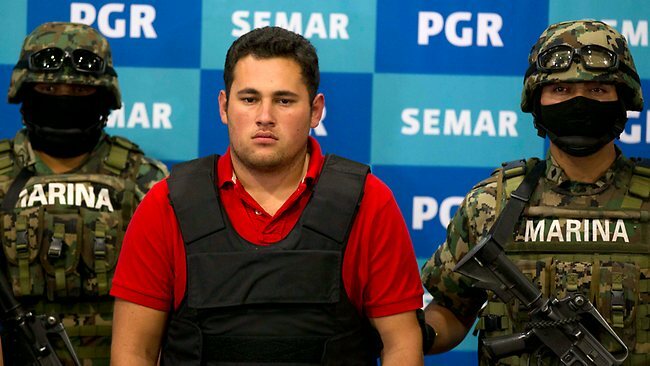 Mexican officials paraded Felix Beltran Leon in front of the media — claiming he was the son of Joaquin “Shorty” Guzman — the country’s biggest drug lord. BBC sayswithin hours of the arrest, doubt started being cast on the official version of events. The Sinaloa cartel controls much of the flow of cocaine, marijuana and methamphetamine to the United States. According to U.S. court documents the drug lord’s son — Jesus Guzman — was caught in taped conversations discussing heroin shipments for his father. The Sydney Morning Herald has a quote from the Mexican Navy. The Herald Sun reports Mexico’s president has been criticized in the past for going too easy on Joaquin Guzman. And this capture might’ve been politically motivated. Joaquin Guzman has been ducking Mexican authorities since his 2001 escape from a maximum-security prison — in a laundry basket. The elder Guzman is listed by Forbes as one of the richest men in the world. Lipstick, bubbles, and makeup — not exactly the first things that come to mind when discussing science. 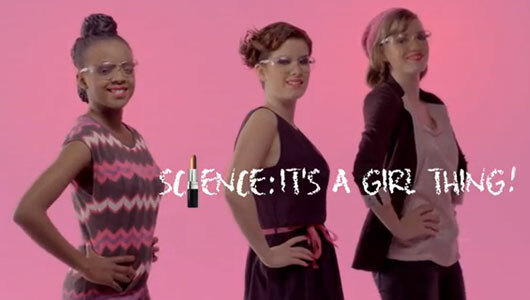 However, those are all displayed in the European Commission’scontroversial video for its “Girls in Science” campaign. The EU campaign stems from the lack of women in research careers and aims to get girls interested at a young age. The Register explains. But when the video went viral Friday, it was attacked for taking the wrong approach to the problem. A writer for Discover Magazine explains. Other critics even labelled the video as sexist for its portrayal of women. As an example, a science blogger at Adventures in Ethics and Science got her 13-year-old daughter’s reaction to the video. The “Girls in Science” campaign has been praised for the other videos they feature on their website, which show real women who work in science. A writer for Knight Science Journalism Tracker says the Commission should have stuck with the “strong role model” approach. As of Saturday afternoon, the Commission had replaced the teaser video on its site with a profile of a woman earning her PhD in virology. Want to know someone’s age, income, gender – even personality traits without even talking to them? Researchers from the University of Kansas say 90 percent of a stranger’s personality can be determined by looking at their shoes. KCTV and WDAF have details from the study. So according to the study, the style, cost and condition of someone’s shoes can tell so much. KTRK explains what exactly might be revealed. CBS News has a few more personality traits which the study’s authors say could be revealed. The study also suggests that the higher the heel on a shoes, the more emotionally unstable the person might be. But WFLD says – some people don’t believe you can get a glimpse into someone’s soul by looking at their — sole. Check out the video from Newsy — written and anchored by me! 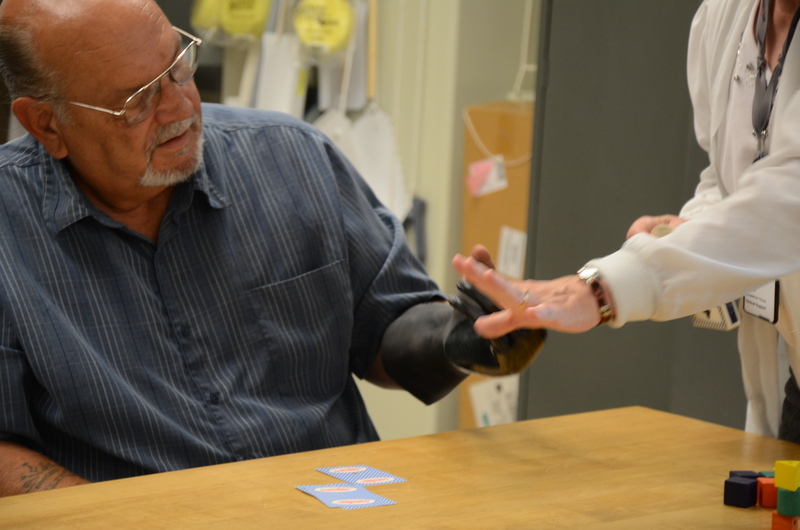 COLUMBIA – Missouri veteran Harvey Fogel is the first person in the state to receive the newest model of prosthetic hand. 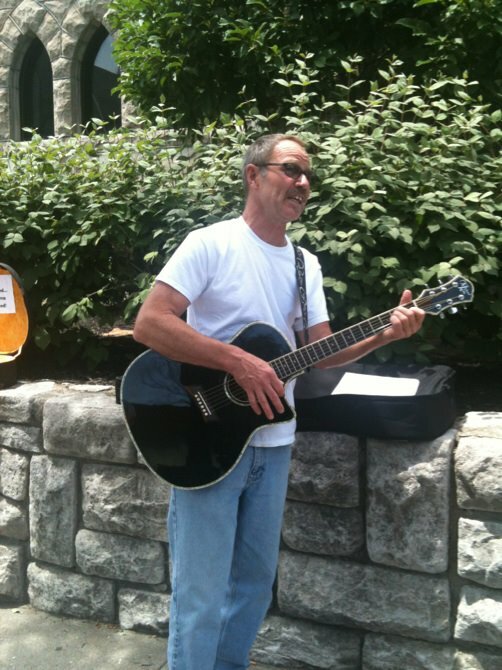 Fogel lost all his fingers in December of 1970 in a factory accident while serving in the Navy. For 41 years, he could not complete simple tasks like holding a cup or opening a sugar packet. When he first got his new prosthetic hand, he and his wife sat down and had coffee and he was able to open his own sugar packet. His wife said she will keep the empty sugar packet to remember the moment. The prosthetic hand uses muscle control to sense when Fogel wants to move. He can use the prosthetic just like a regular hand, but he said he has been without a hand for so long that he still needs to get adjusted. Fogel said he was surprised and is very humbled to have access to the new technology. Truman VA Hospital said they aim is to improve function to help veterans have a good quality of life. Johnny Hodges playing his guitar and singing. 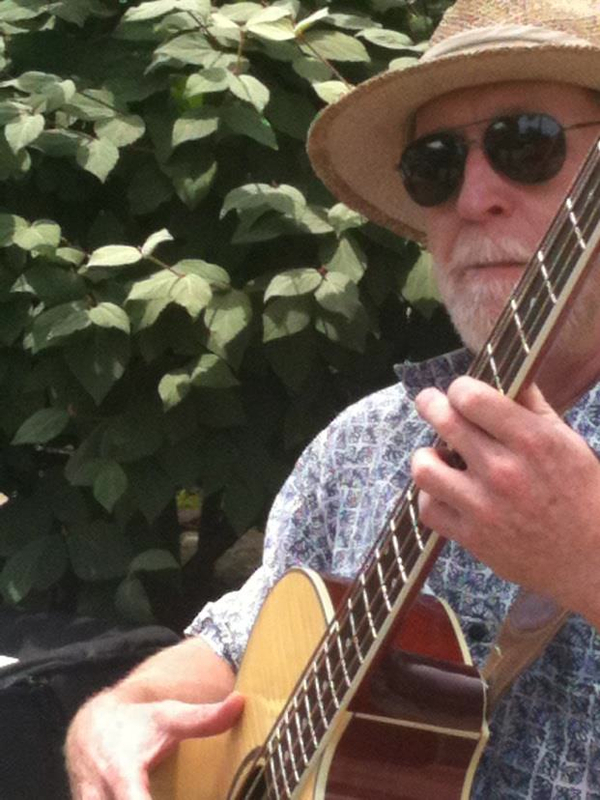 Don Reithel adds his tunes to the quartet. 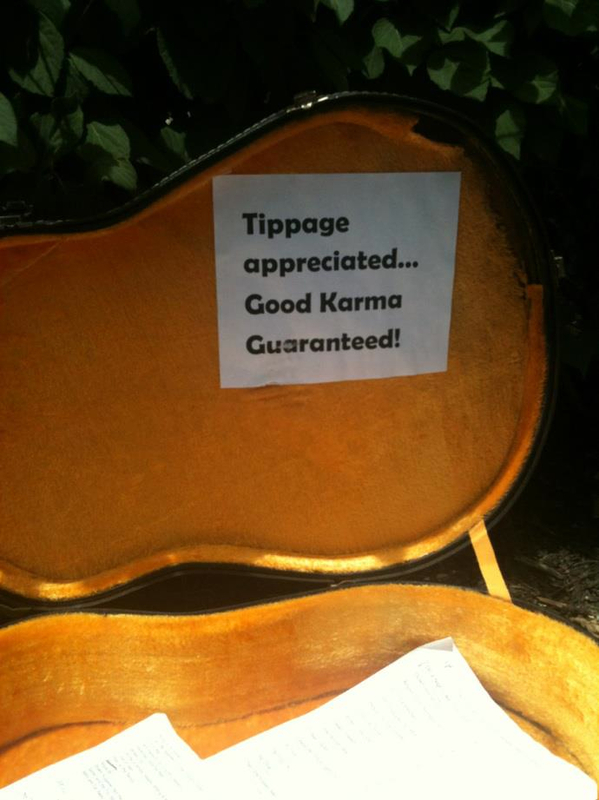 Good tips equal good karma! Originally, I had a different idea for my final project. I wanted to capture college students hanging out at the pool, but as of last night I’ve changed my mind. Last night I was sitting on the porch with some friends chatting, one of those friends is named Richard. 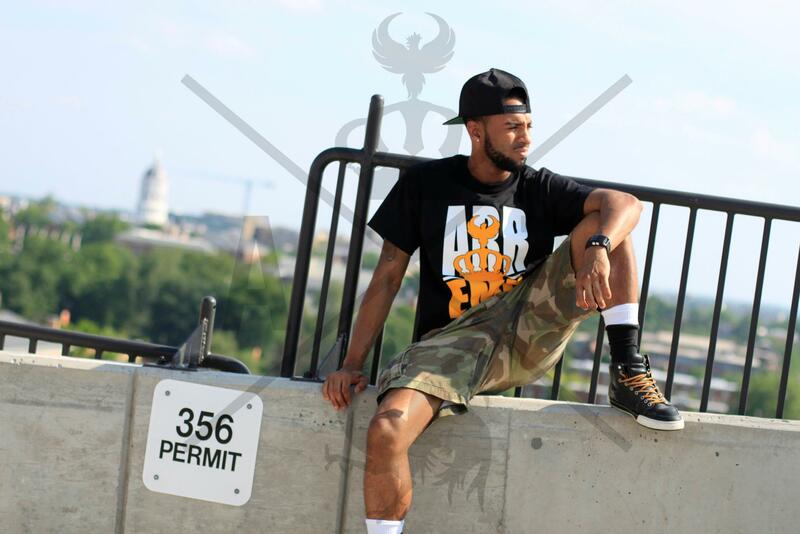 Richard has a street wear t-shirt line, I knew about that but I never thought anything of it. So as I sat there and listened to Richard talk about his clothing line I could detect so much passion in his voice. All of the sudden it just clicked for me, with my eyes closed I would be able to tell how much his clothing line means to him and that would sounds amazing on audio. My goal would be to capture Richard’s drive and ambition through multimedia journalism. An obstacle I could encounter might be time constraint. I am not sure how long Richard will be here for the summer and I want the people who help him on his line in the video too, so everyone would need to be around at the same time. Another obstacle I could face would be clashing ideas. Richard is a very creative person with great ideas, but I fear that I might not be able to make his ideas come to life. However, where there is a problem, there is a solution. As far as time issues, I will be sure to plan meetings that will fit their schedules and I will make time in my schedule around their free time. And although Richard’s thought process may differ from mine, I believe we will work well together and create an amazing finished product. I am excited to relay the passion Richard has for his growing clothing line, and I think it is important to emphasizes the ambitions of graduating college students. I also thought the following link was a cool story idea and well composed. I’m still sitting here scratching my head about how they got that shot of the side of the limo driving down the street. Here’s the link Driven. I also think that something similar to this would be a great idea for a final project.